​City maintained their dominance in the second half and ensured that their control over proceedings told on the scoreline, as ​Sterling arrived in the box to fire home a cross from Leroy Sane to double the visitors' lead just after the hour mark. ​Palace threatened to put a sting in the tale as Luka Milivojevic curled home a free-kick from the edge of the box after Ilkay Gundogan committed a sloppy foul on James McArthur with ten minutes remaining, but City added a third late on through Gabriel Jesus to seal the victory. 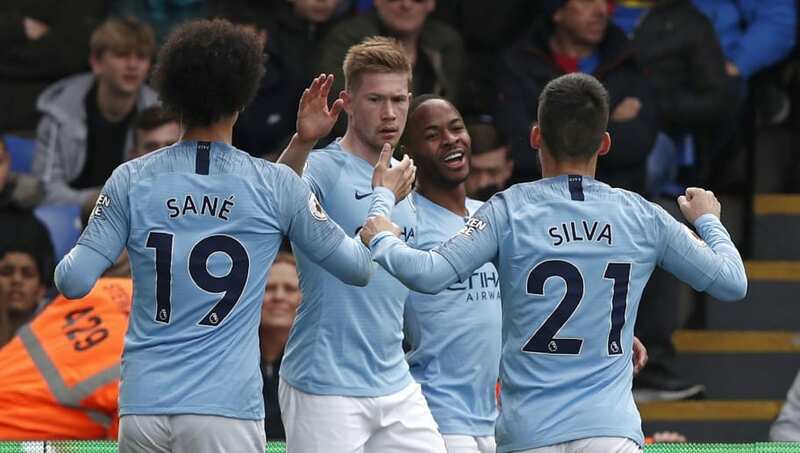 With City under pressure to earn a victory at Selhurst Park which would see them move above ​Liverpool at the top of the league ahead of the Reds' clash with Chelsea later on Sunday, Pep Guardiola's side did not buckle under the pressure. Crystal Palace face another next Sunday as they travel to the Emirates to face ​Arsenal in a London derby. Meanwhile, City will look to overturn a 1-0 deficit from the first leg of their Champions League quarter final clash against ​Tottenham on Wednesday, before returning to Premier League action at home to Mauricio Pochettino's side once again just three days later.